Phase III clinical trials are the gold standard to demonstrate the effects of an experimental therapy compared to standard therapy for a disease of interest. The first step when planning a phase III trial is to specify the statistical hypothesis that the trial purports to test, which is usually that the experimental therapy provides some efficacy benefit over standard therapy, without adding significant harm. In a phase III trial, a pre-specified number of patients from the target population are randomized to receive experimental or standard therapy. The patients are treated and followed up according to a protocol that also defines the endpoints of interest, in particular the primary endpoint which is chosen to reflect a clinical benefit of experimental therapy over standard therapy. The trial data are typically monitored by an independent committee who may recommend stopping the trial early, if appropriate. 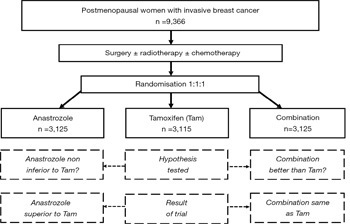 The benefit of experimental therapy over standard therapy, if any, may be observed across all patients, or may be confined to a subset of patients.